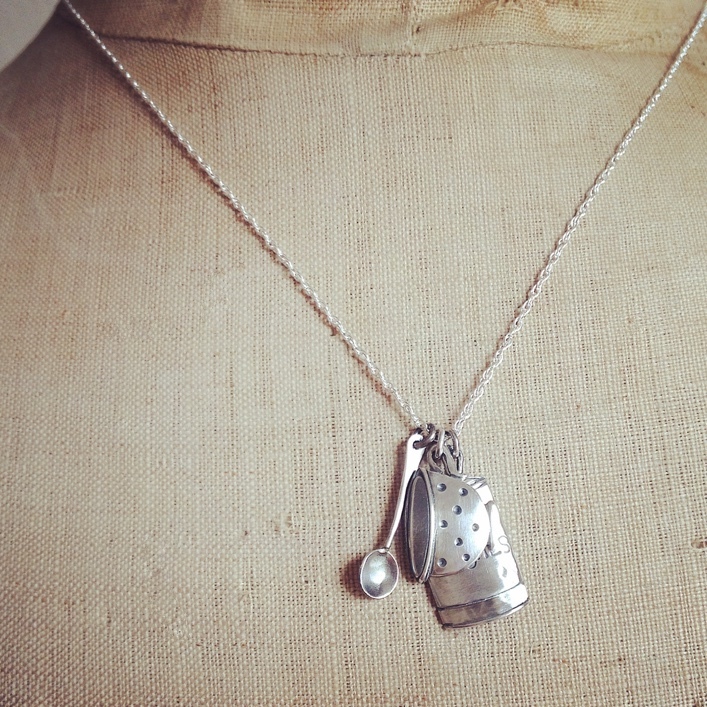 From one best friend to another… The pieces signify moments important to their friendship. 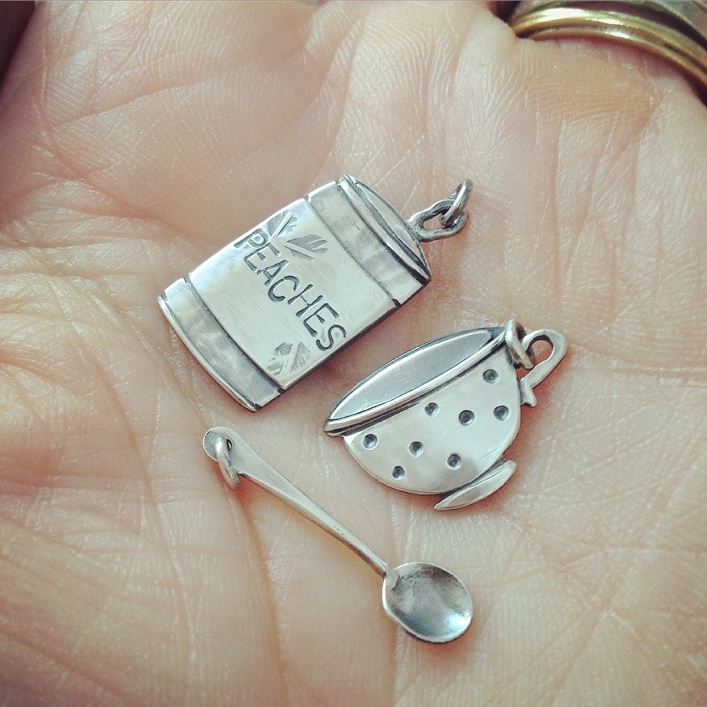 Tiny Can of Peaches, Tea Spoon and Teacup handmade in oxidised silver using a mix or hand forming and layering techniques. My silver Cuckoo Clock’s coming on nicely..